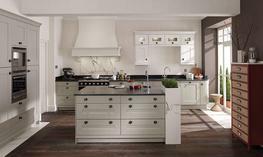 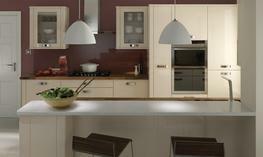 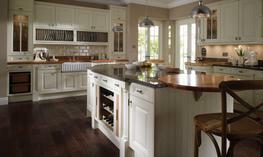 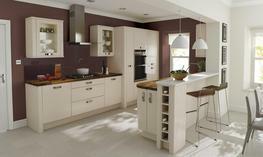 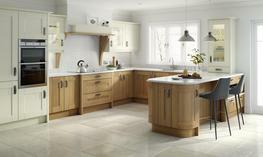 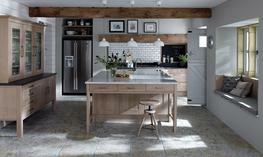 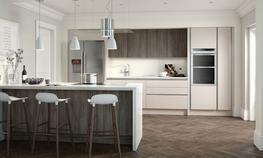 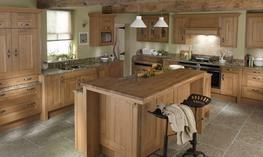 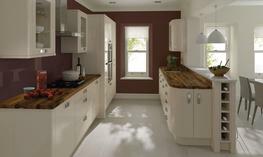 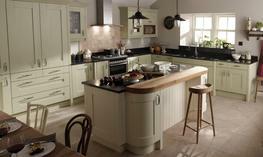 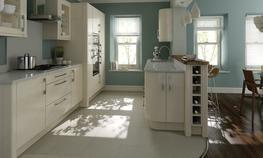 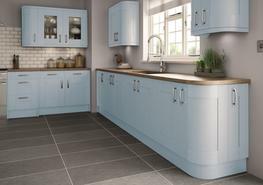 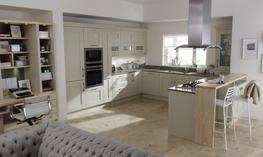 Beige is the perfect neutral to introduce confident tonal contrast through your choice of worktops and accessorisation. 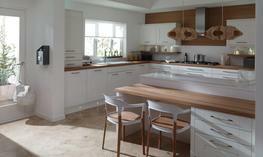 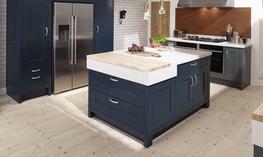 Here, we have used Walnut for the main worktop, combining it with white Silestone Quartz for the breakfast bar. 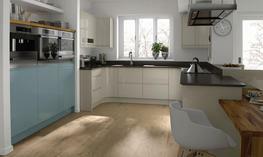 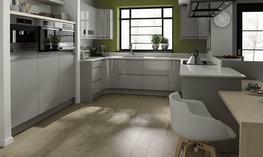 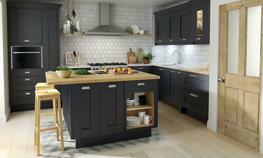 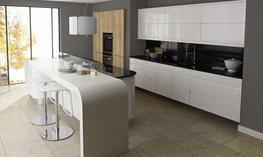 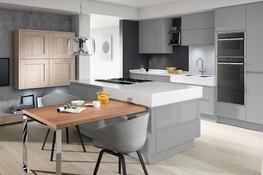 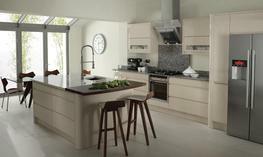 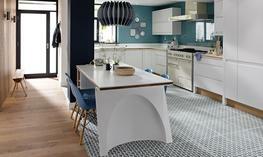 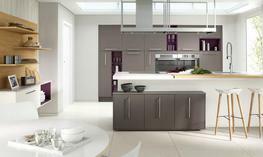 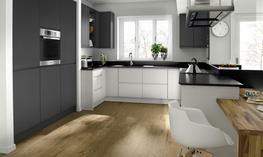 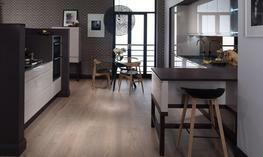 A full height splashback adds style and practicality.